Be sure to call or email us for scheduling before sending us any fiber. When sending fiber, print out the Fiber Processing Form and include a completed copy of the form with your fiber. Our spinning frame requires a consistent staple length of at least 3 inches. The system produces a semi-worsted yarn. 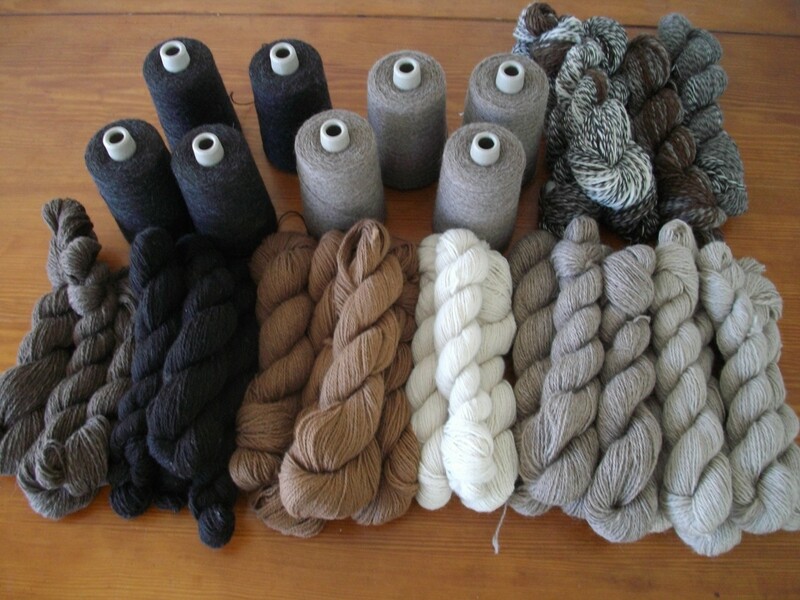 If you have a specific yarn you would like us to replicate, send a sample of the yarn along with the fiber you want spun, and we will do our best to match it. Prices for spinning are in addition to the cost of washing and carding. The price per pound is based on the finished weight of the yarn and includes pin drafting, spinning, and plying. We will spin any size batch, but there is a small batch fee of $20.00 on batches less than 5 pounds incoming weight. Be aware that there will be considerable loss during the washing, carding, and drafting processes, usually 50-60%, and very small batches are probably not worth spinning. 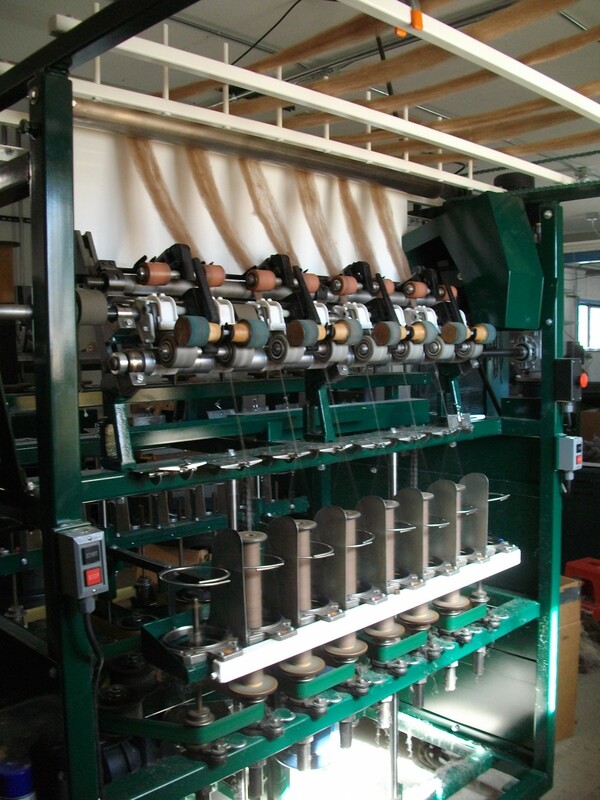 If fiber cannot be spun after it has been processed for spinning, it will be returned as pin drafted roving and charged as such (carding fee plus additional $3.00/lb pin drafting fee). When you send us camelid (llama and alpaca) or mohair to spin, we strongly encourage you to have us blend the fiber with at least 15% fine wool. Camelid and mohair are very smooth, slippery fibers, and adding wool gives the yarn memory that helps prevent the finished garment from losing its shape. Except for Suri alpaca, we will try to spin your camelid or mohair fiber without adding wool, but in our experience many camelid fibers, especially black alpaca, and most mohair are too slick to spin without adding some wool; in some cases these fibers can only be carded into cloud without adding some wool. In our experience, Suri alpaca requires at least 20% wool to card or spin. If it is determined that the fiber won’t spin before processing for spinning, it will be returned as roving.